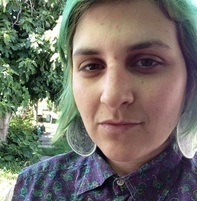 Nic Alea is a poet and fiction writer from California with BA in Creative Writing. She holds a fellowship from the Lambda Literary foundation, was a semi-finalist for Button Poetry’s chapbook competition for “Sad Boy Slumber Party,” and was voted one of SF Weekly’s 2014 “Best Writers without a Book.” Nic has performed at the National Queer Arts Festival and has work featured in journals such as Muzzle Magazine, The Legendary, Rattle, and Write Bloody. She currently lives and writes in Melbourne, Australia.